This little Yankee girl ventured down to good ole Jefferson City, Tennessee to study English here and, as you might anticipate, met of lot of friends who hailed from the South. My roommate Jenny came from a solid Spartanburg, South Carolina family of six and a mama who sure can cook. When we got a first apartment, I was ecstatic: we could cook and have friends over and not eat in the dining hall! I had big plans for pasta, sauce, chicken parmigiana, meatballs…….this was all I knew how to cook back then. Jenny called up her Mama Ruthi for instructions on how to make some good home cookin’. It was from these initial recipes from Mama Ruthi that I began learning old-fashioned American fare to add to my budding Italian-American repertoire. Last night, coming home from birthday festivities (whose? Mine! Why, thank you! ), I remembered that I signed up to bring a dessert to the faculty pot-luck luncheon for today. Now, I could have been super-lazy and super-within-my-rights to not have to bake at 9:30 p.m. on a Sunday night on my birthday!!! 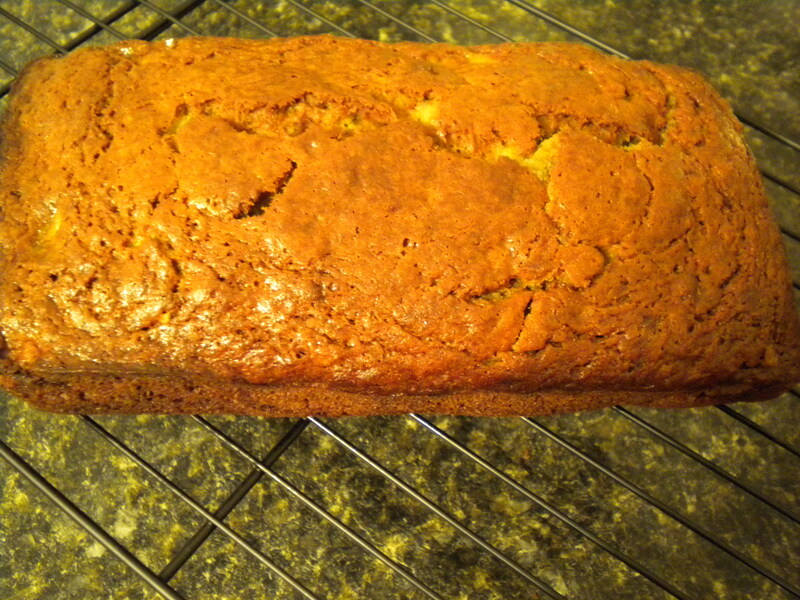 !, but I knew that fixing Mama Ruthi’s banana bread would be super-fast and super-simple, not to mention super-DELICIOUS! 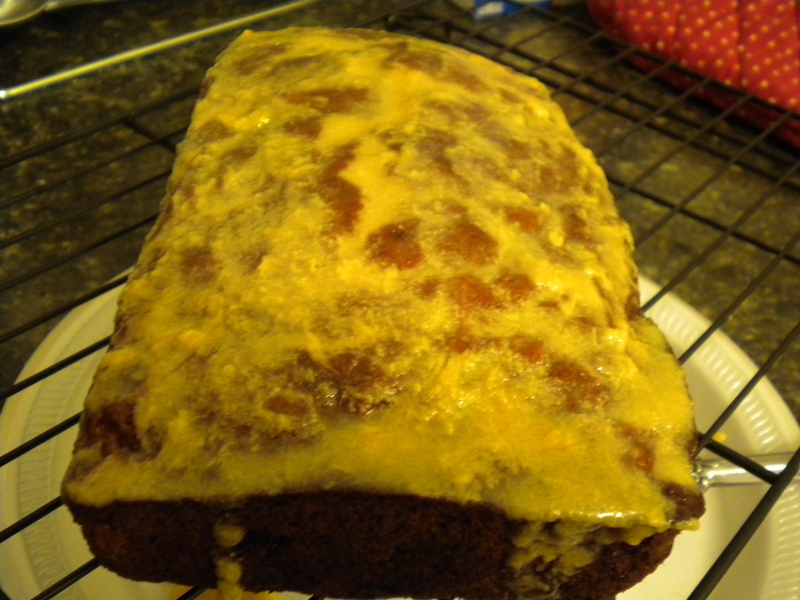 Of all the banana bread recipes I’ve ever sampled, this one takes the….bread. Moist, sweet, and airy, here’s a banana bread recipe you need to adopt into your box of recipe cards. After all, it is an American classic! 1- Preheat your over to 350.Get out a medium bowl. 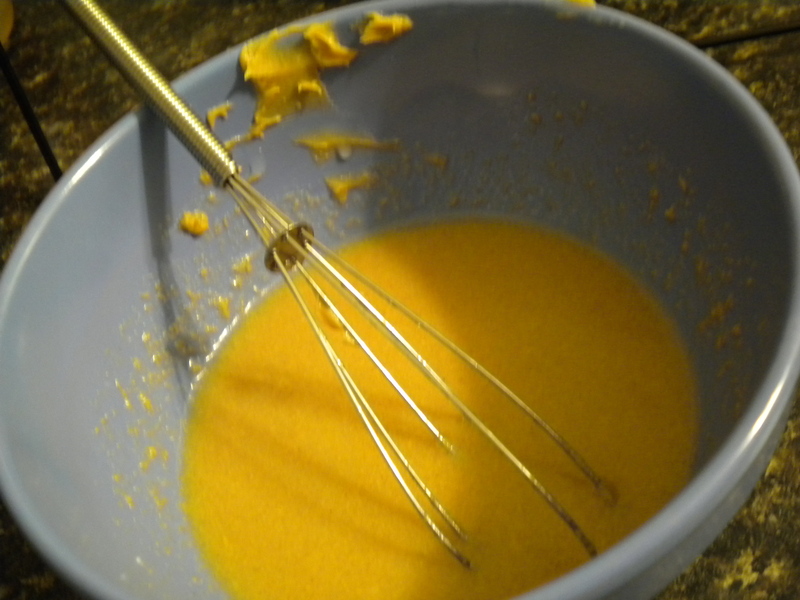 Melt 1/4 cup butter and mix in with 2 already-beaten eggs. Stir baby, stir. 2–Add 1 cup brown sugar, packed down, to the bowl. Break it up, mix it up, get rid of all lumps. 3–Add to this sugary, creamy mixture 3-4 overripe bananas and mash those bad boys up, smashing them against the side of the bowl with a wooden spoon if need be. 4–Add 1 1/2 cups flour, 1 tsp. baking soda, and 1/2 tsp. salt. Mix well, but not too well—just get it all mixed together so you don’t see any white spots of flour anywhere on that bowl. 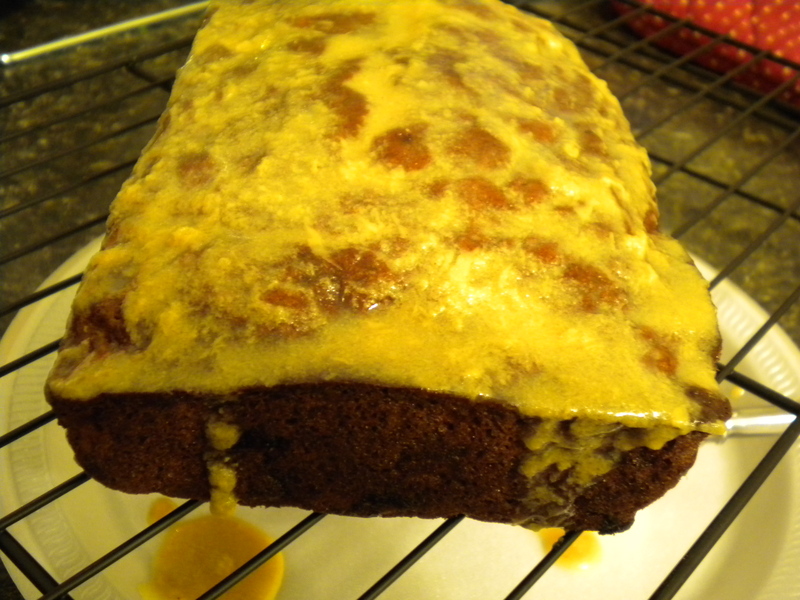 5–Grease/Pam up a 9*5 loaf pan and pour your brown sugar banana batter on it. Bake for 1 hour. You can let it cool in the pan, or take it out and place on your wire racks, what have you—I have done both and haven’t found a dramatic difference either way. Makes your house smell like home and your tummy feel loved. 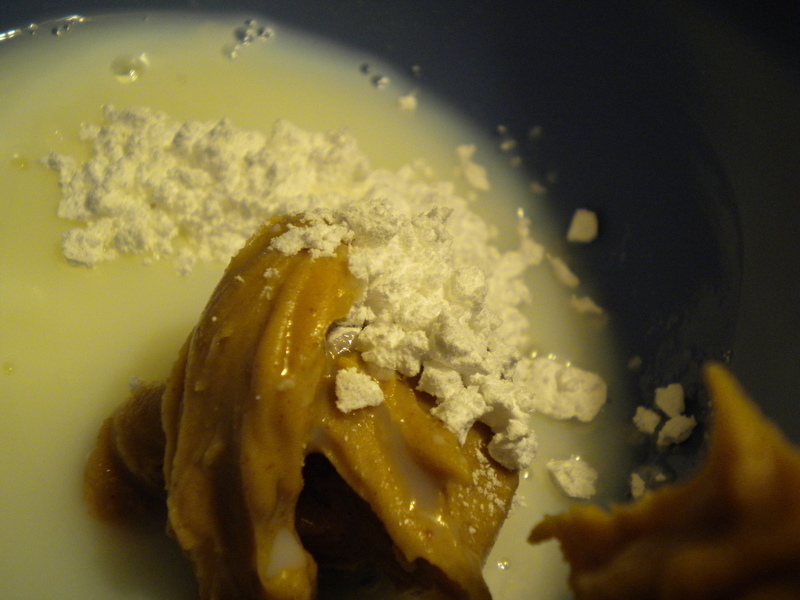 1–Combine 1/3 c. powdered sugar, 1 T. skim milk, and 1 T. peanut butter (I like JIF–use whatever you like, but NOT CRUNCHY!!!!!!) Whisk it up and pour it over the bread………..mmmmmmmmmmmmm. Lovin’ the peanut butter glaze on this. I’ve done my own “create your own ending” with my banana bread (which is usually me holding my belly and whining that I ate too much) but I’ve only done +chocolate chips and +struesel topping. Next time it will be coated in peanut butter!